Why choose Corian, you may ask? The answer is simple. 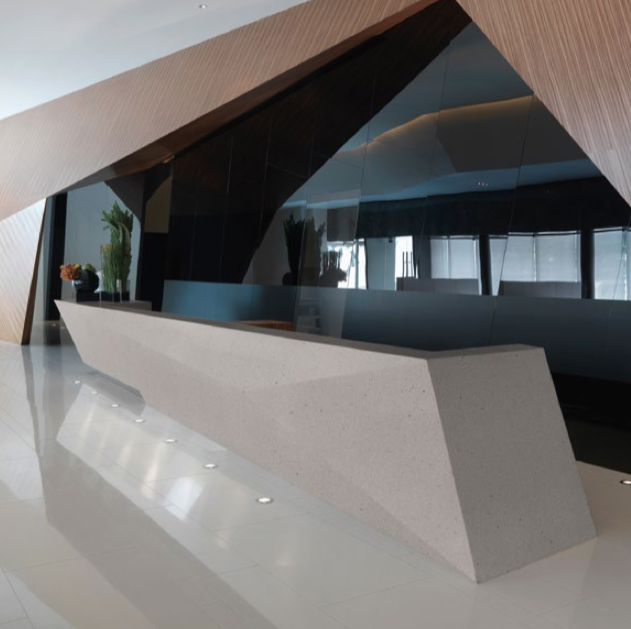 Corian is one of the UKs leading solid surface materials. Composed of acrylic polymer and alumina trihydrate, it is a material that is long lasting, stylish, flexible, reliable, not to mention top quality! If you are thinking about adding Corian to your home or work place, you will relish in its beauty, functionality and resistance. Corian Designs offers the ultimate freedom with regards to what you use it for and how you want it to look. There really is no limit to what you can achieve with Corian as each piece is manufactured to your specifications and specific project. You can add curves, edges, different shapes and more. Contact us to discuss your next project.